The Real Easter Egg is to feature in the Highclere Castle Easter Egg hunt on 21 April. Highclere Castle is best known for doubling as Downton Abbey in the popular TV series. More than 1,500 children are expected to attend and there will be a full size Real Easter Egg for children who take part in the hunt. It is expected to be the UK's largest single event Fairtrade Easter Egg hunt this year. The Meaningful Chocolate Company are delighted to supply the eggs for this world famous place. It's a great opportunity to promote Fairtrade, and there is a copy of the Easter story inside each box as well as a competition to win £200 worth of book vouchers. 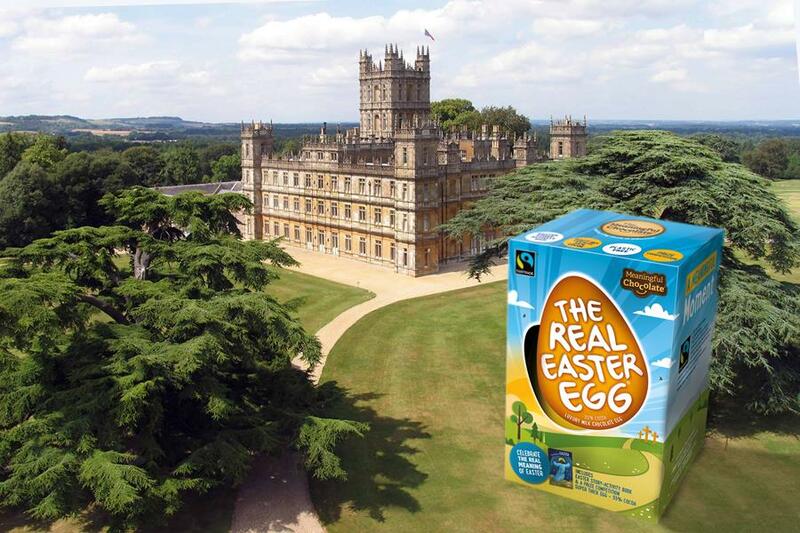 If you can't make it to Highclere, you can buy your own Real Easter Egg from Tesco, ASDA, Morrisons and Waitrose. Proceeds from the day go to The Murray Parish Trust.